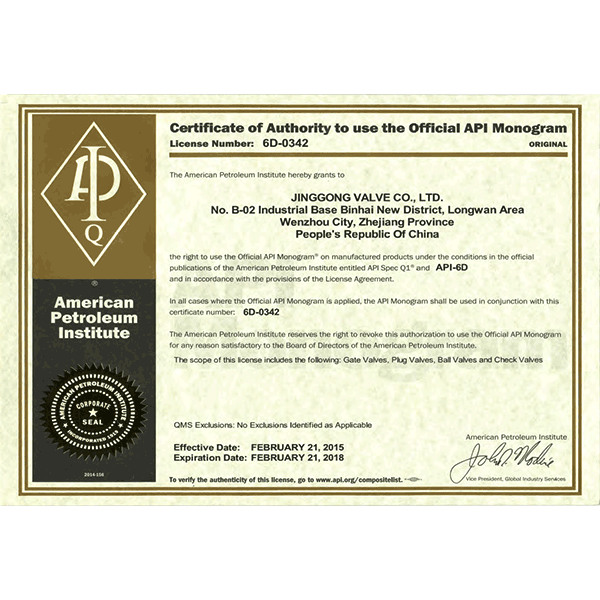 About Us - Jinggong Valve Co.,Ltd. 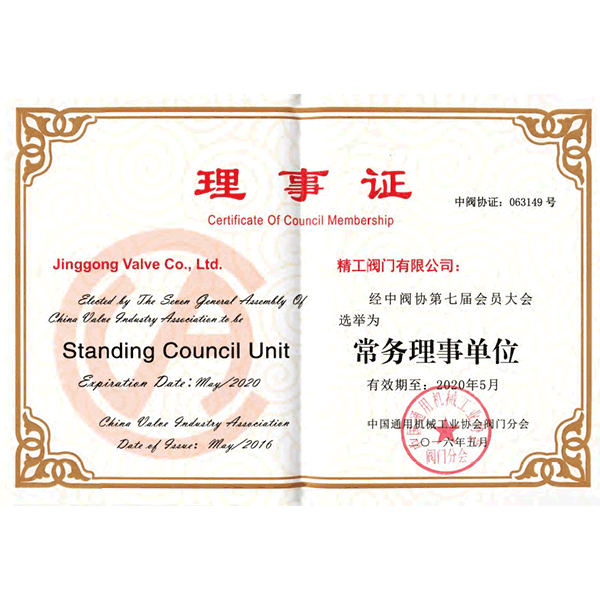 Jinggong Valves Co., Ltd. was set up in 1978 and located in Longwan district, Wenzhou city (China Valve City).With nearly forty years experiences of designing, manufacturing and marketing, and with the support of advanced equipments and high quality, and Jinggong has developed to be a high and new technology enterprise in China. 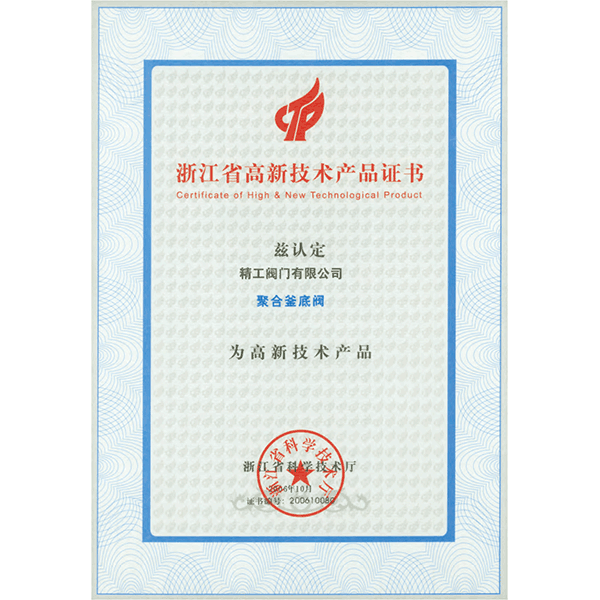 Jinggong has been awarded Zhejiang province AAA grade Contract and Accredit Honoring Unit, Wenzhou famous brand, Zhejiang famous brand, and parts of our patented valves are included in the national Torch Program, some of them awarded the national scientific and Technological Progress Award. 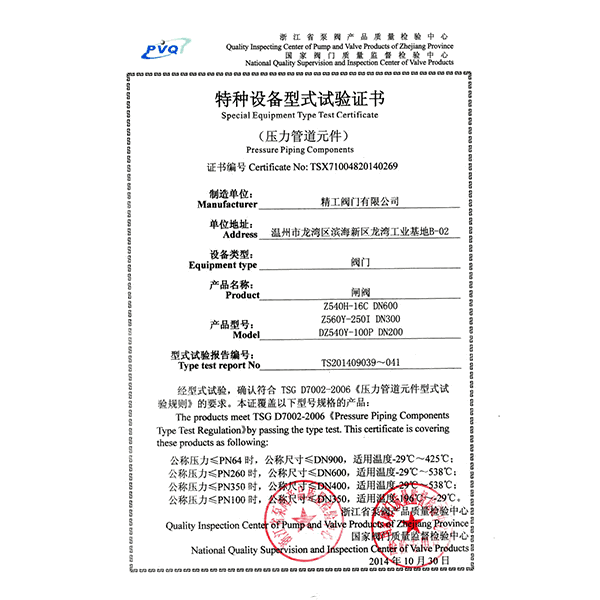 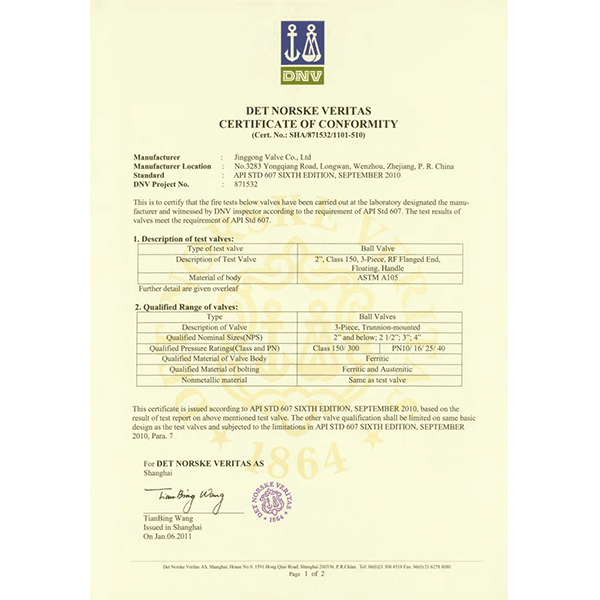 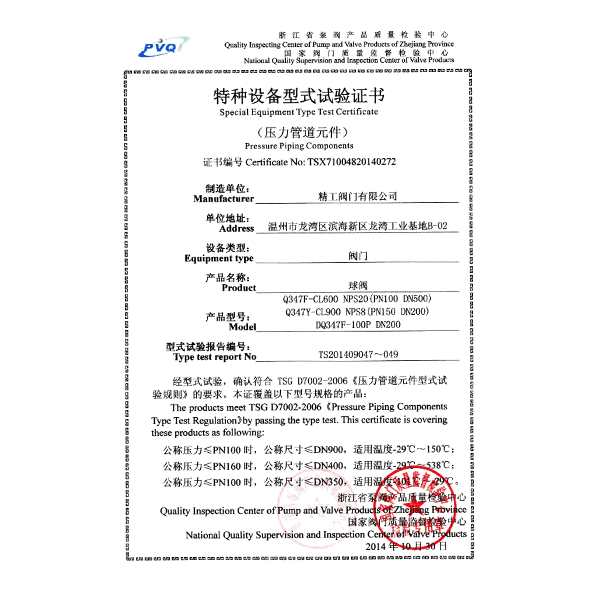 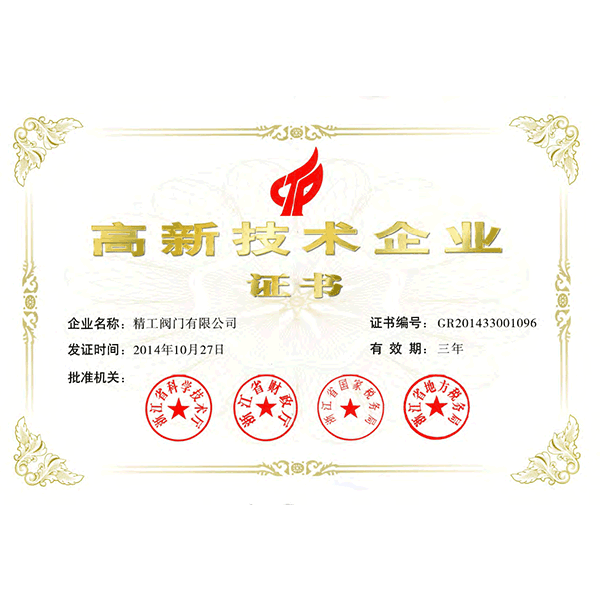 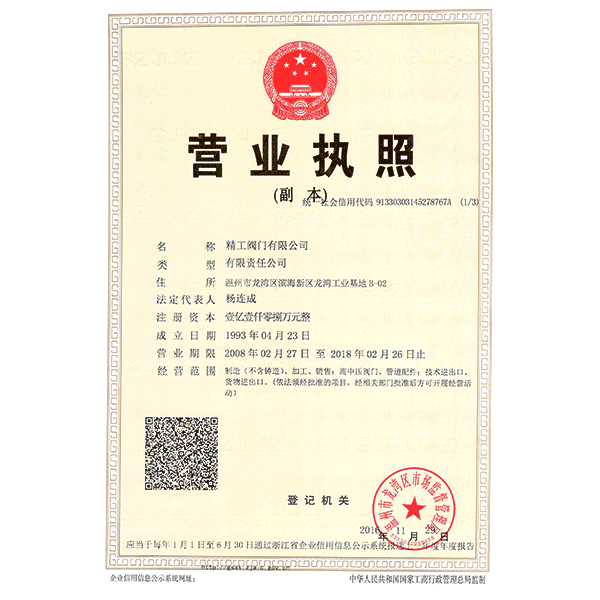 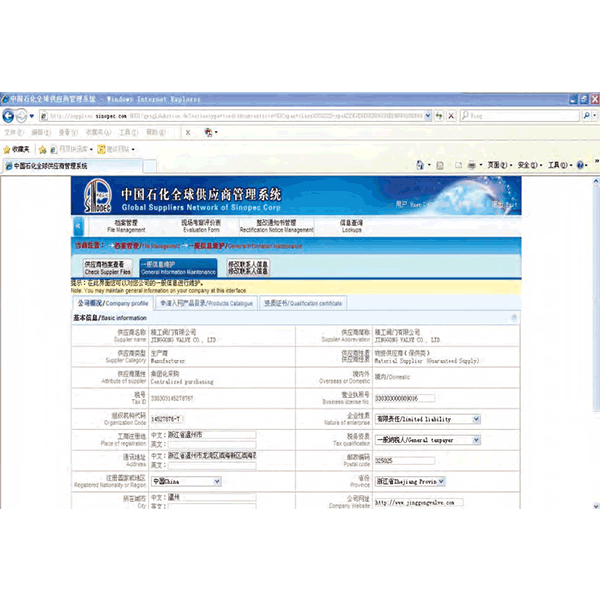 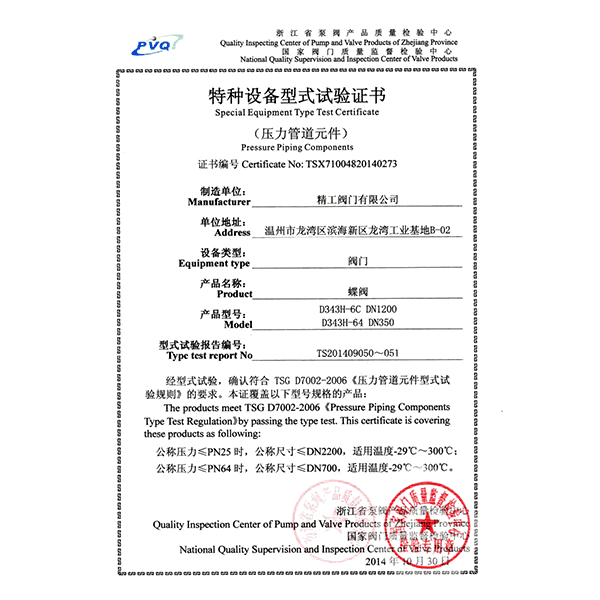 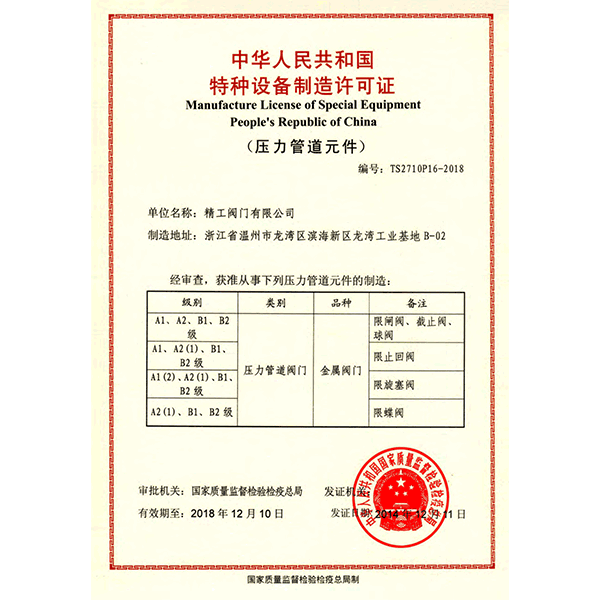 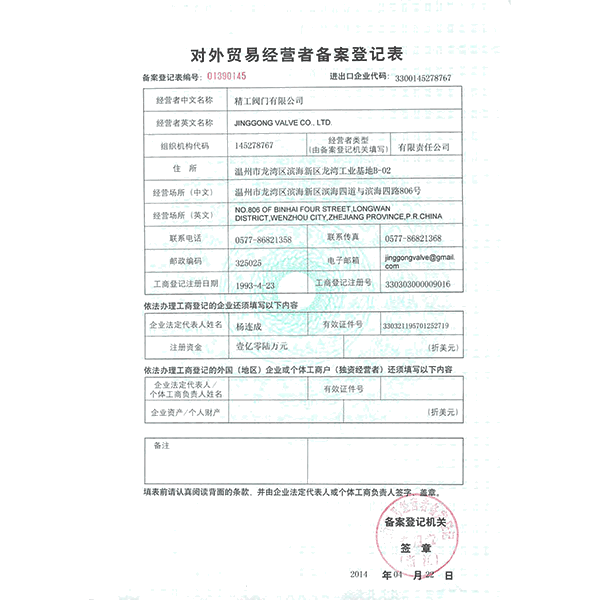 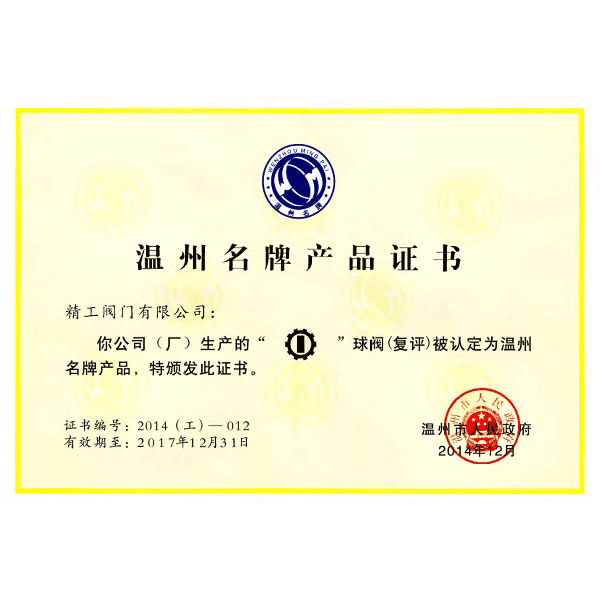 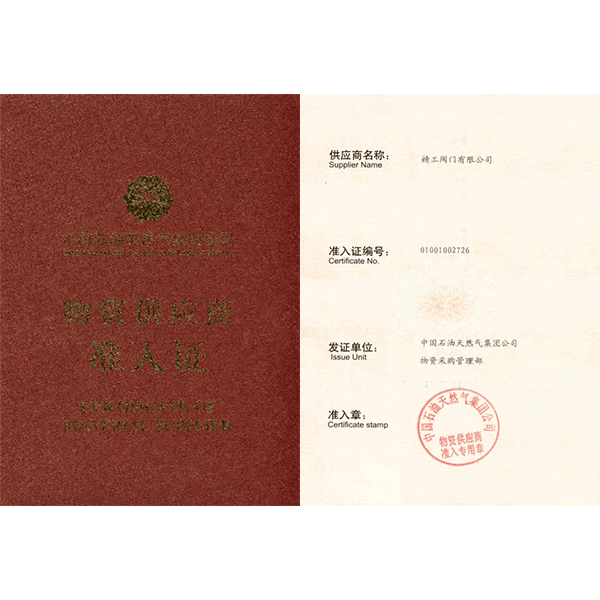 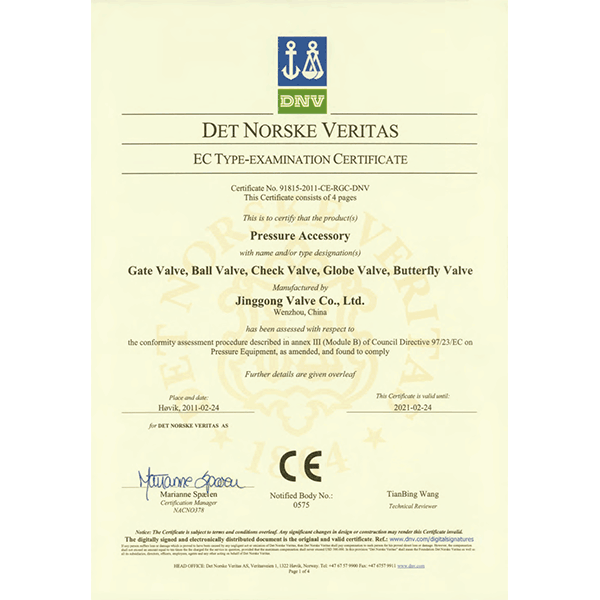 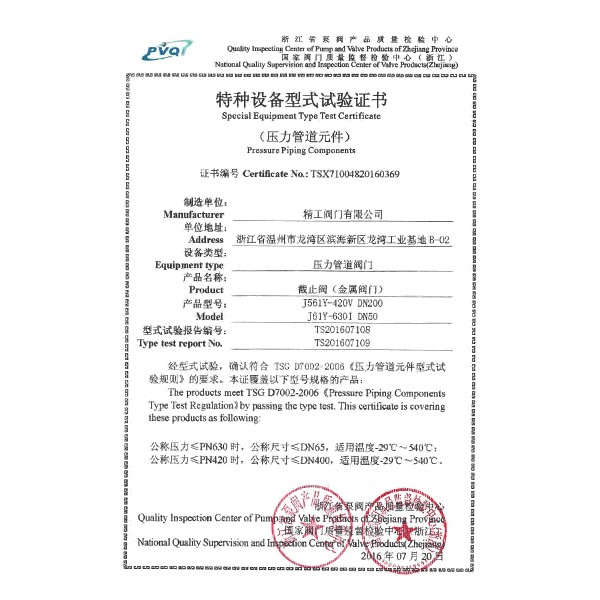 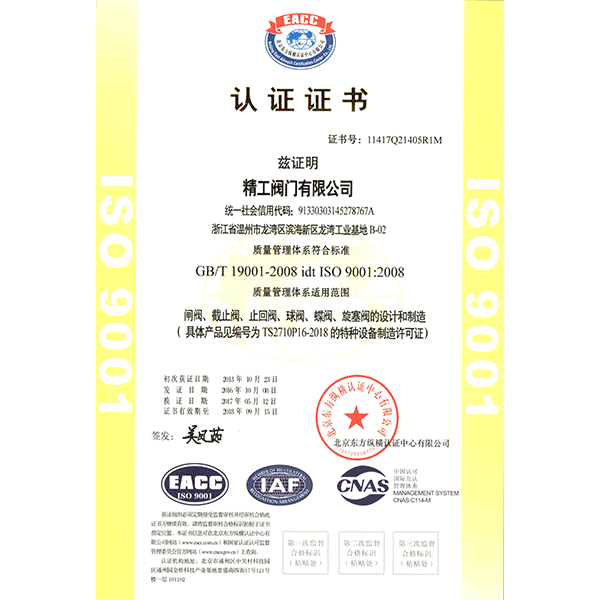 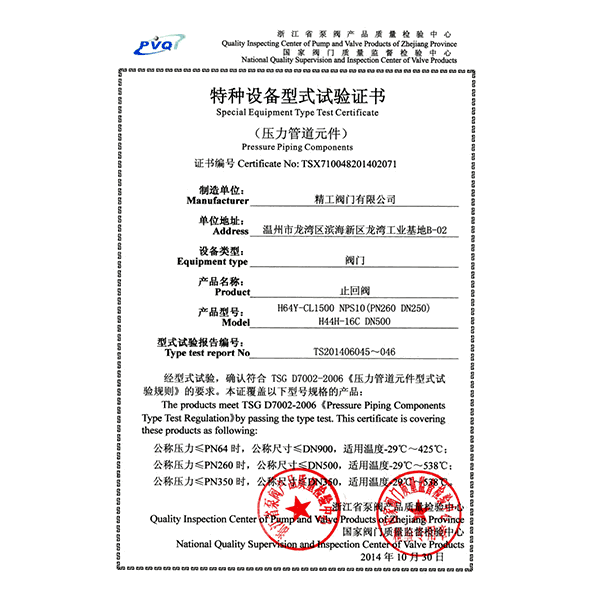 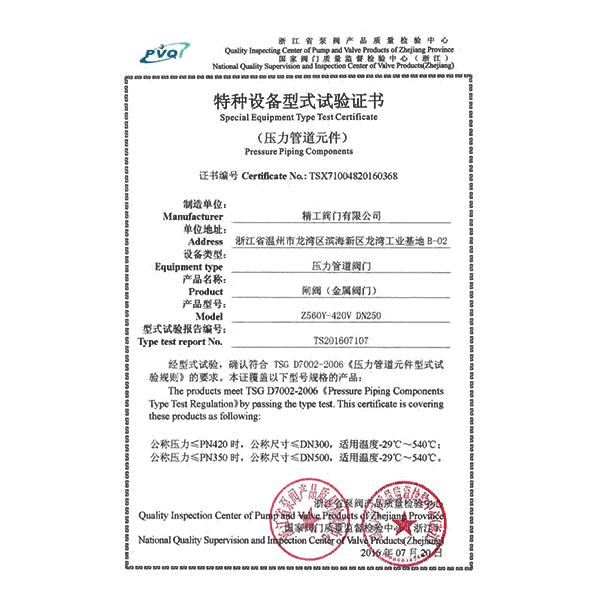 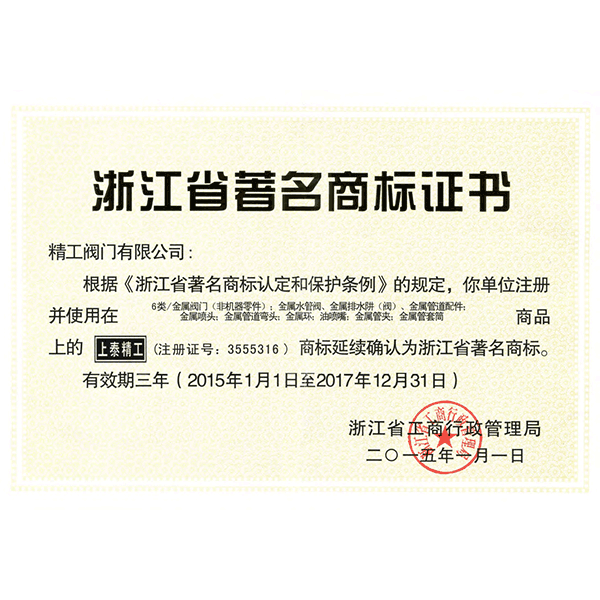 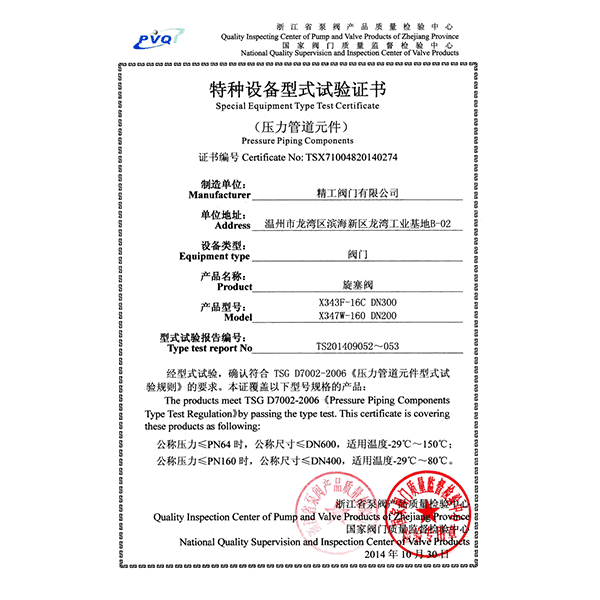 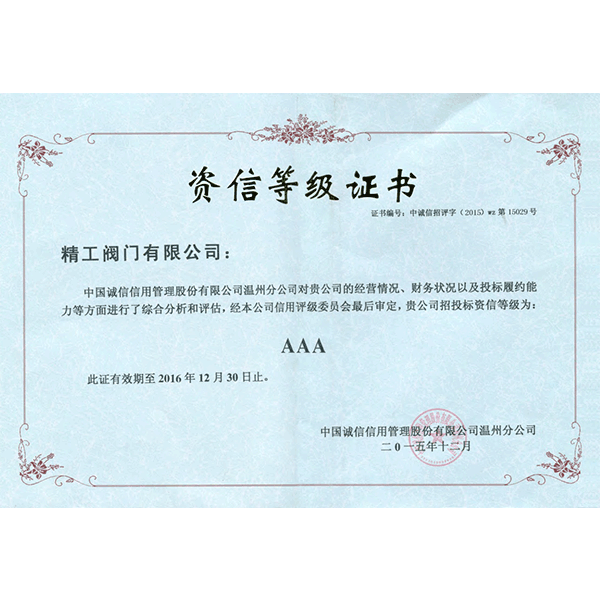 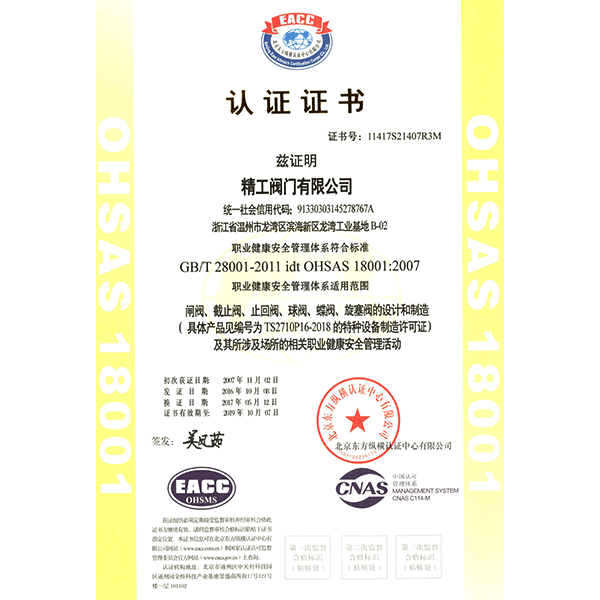 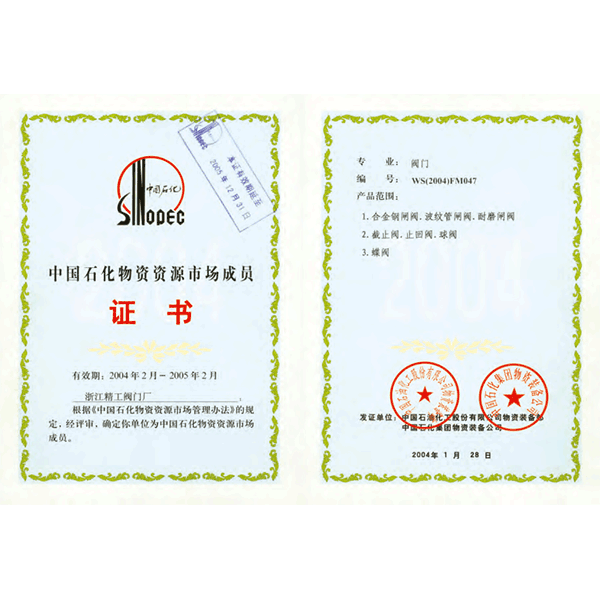 Jinggong has passed through the certifications of ISO 9001, environment protection and API etc. 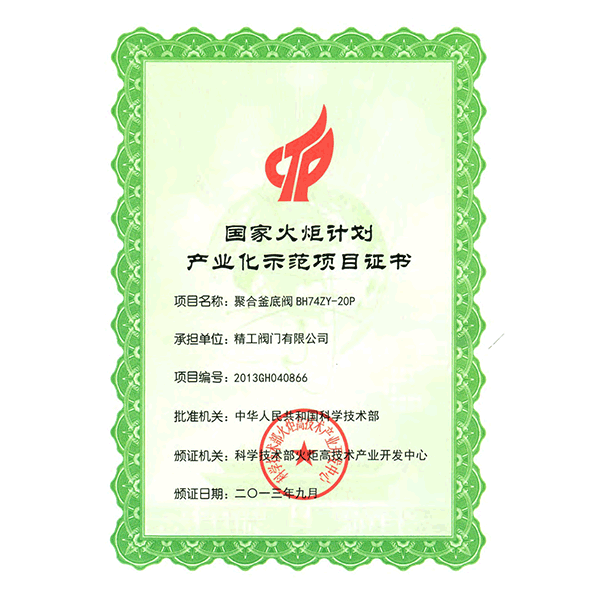 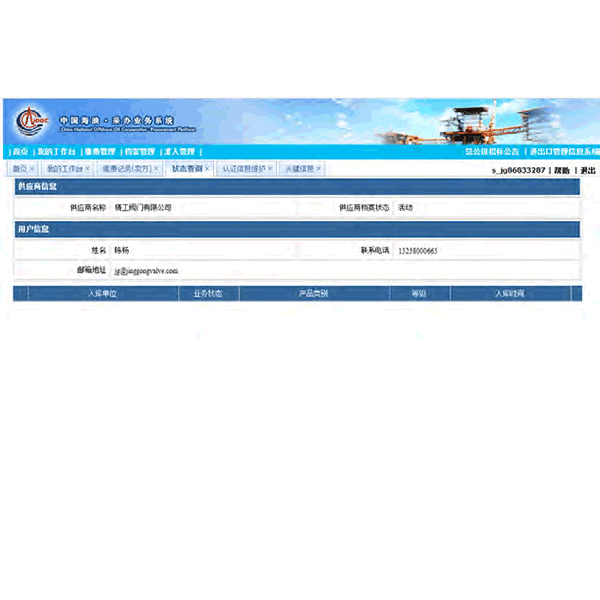 and we have been the qualified first grade supplier of CNPC, SINOPEC and China National Power and so on. 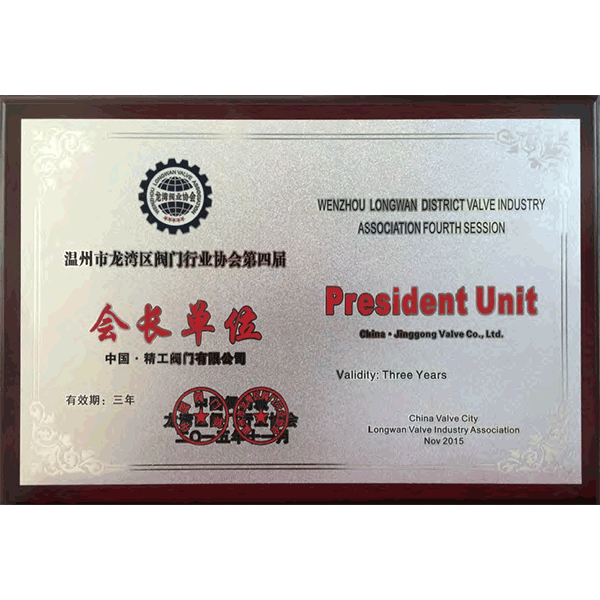 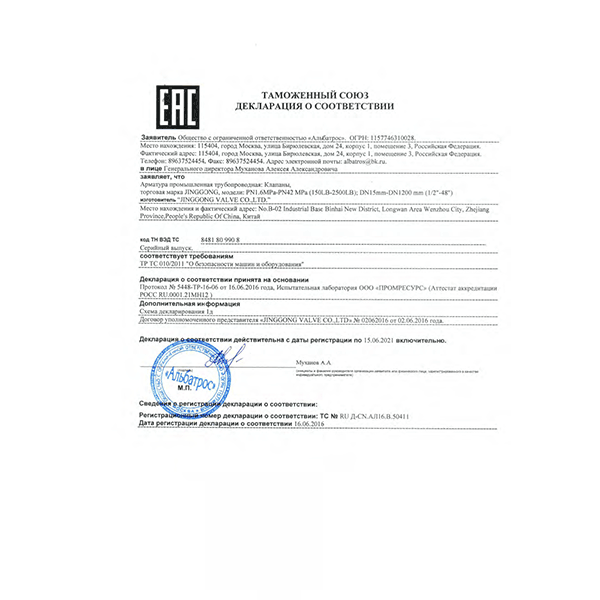 We dedicated and pursued to meet the challenge of the market with a tireless spirit of innovation, and insist on the enterprise spirit of “Unity, pioneering, pragmatic and Excelsior”, and keep the core values of “People first, Customer first, Attention to details, the pursuit of excellence” Provide an inexhaustible positive energy for the company's development. 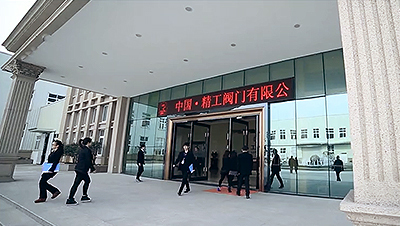 The times are advancing, the market is changing, and the enterprises are developing; we grasp the trend of development, follow the beat of the times, and we implement the concept of "innovation, to create industry renowned brand and the revitalization of the national manufacturing industry”, so as to achieve sustainable development. 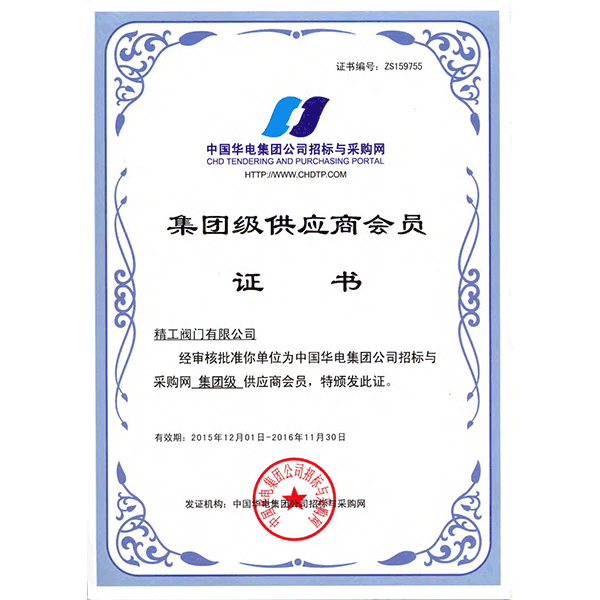 We often cherish gratitude, because of all the friends who from all over the world supporting us and make cooperation with us, based on that we get these achievements and we can move forward. 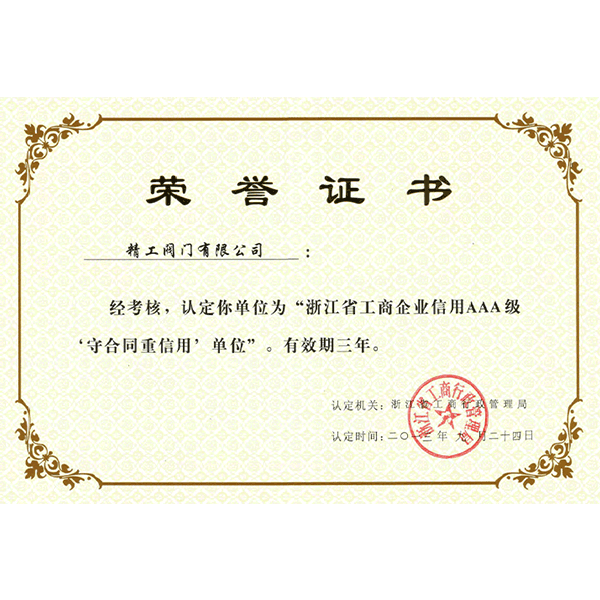 Here, I sincerely, together with all the staff of Jinggong Company, expressed our sincere gratitude to the new and old friends who have given supports and friendly cooperation with us! 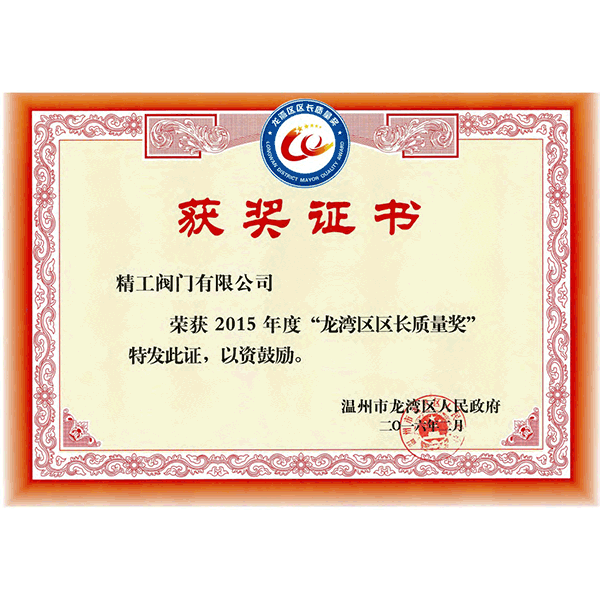 Sincerely look forward to the friends from all over the world to give us care and supports as that in the past days. 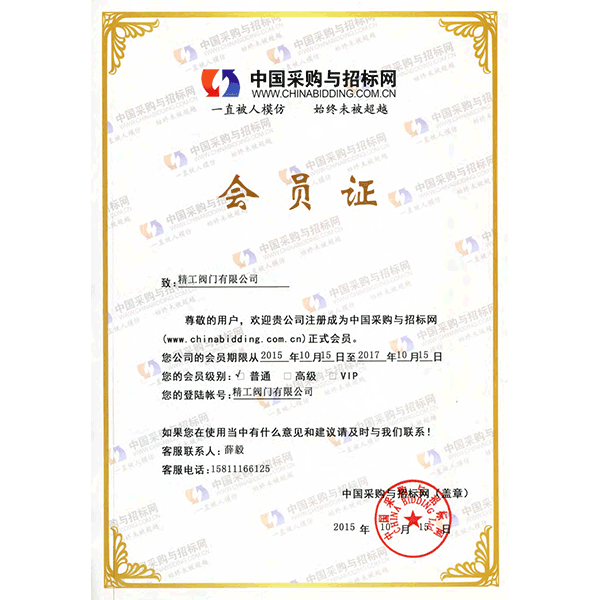 We are eagering for cooperation and win-win situation with partners,and to achieve long-term goals of "building a leading management team and becoming a leading supplier in the industry", we not only participate in the competition, but also to the pursuit of cooperation, and make common development with partners,Please believe that Jinggong Valve is not only the preferred partner, but also your most reliable friend forever! 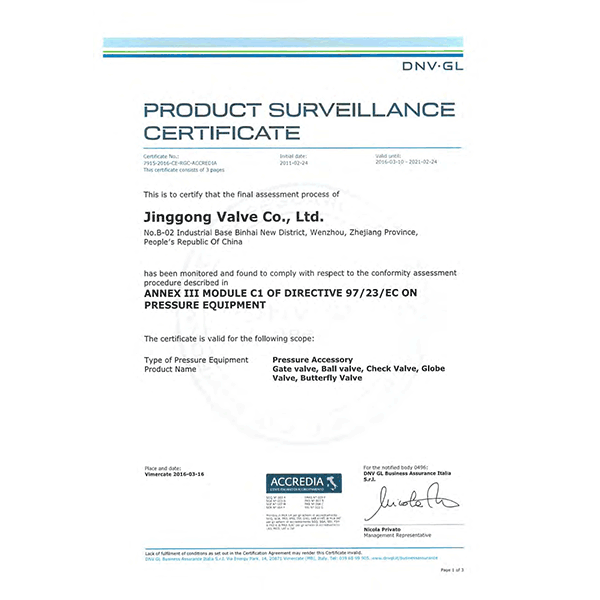 Jinggong valve Co., Ltd. is located in Binhai Industrial zone, Longwan District, Wenzhou city, it is an non regional enterprise and famous brand in China, it focus on providing the valve solutions of researching and development, manufacturing, sales, and services to the customers all over the world. 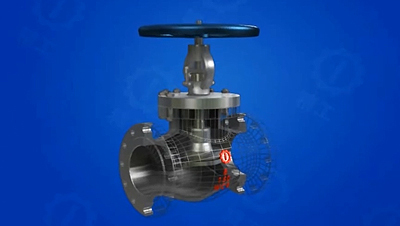 Main products include: high and medium pressure gate valve, globe valve, ball valve, check valve, butterfly valve, plug valve, etc. 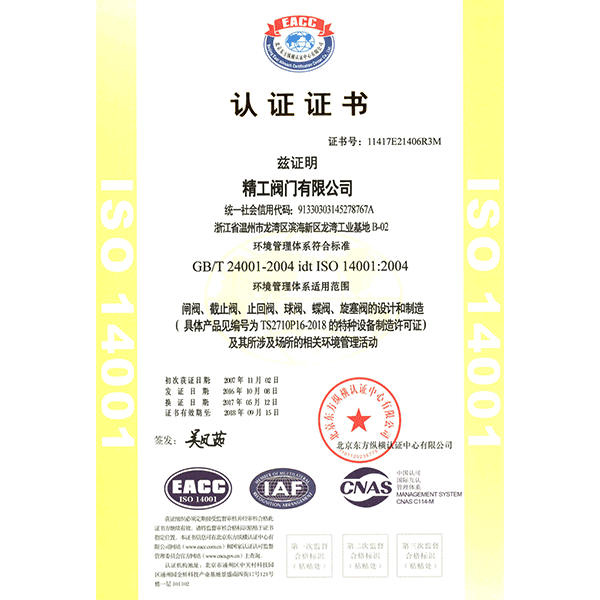 with various standards and various materials. 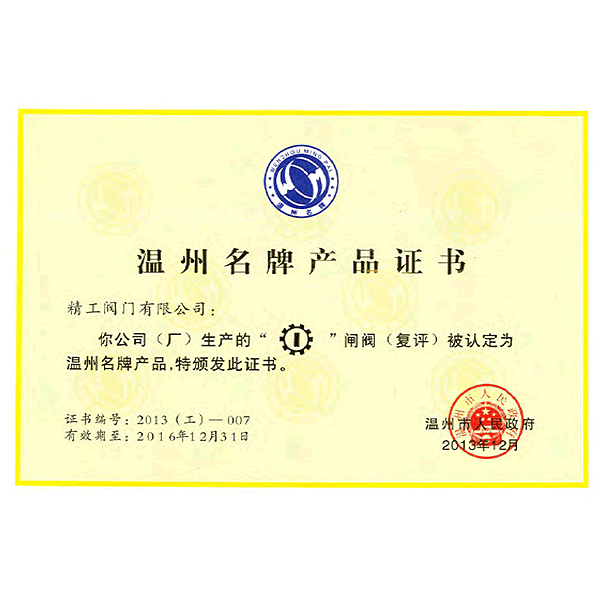 Because of the excellent performances and good quality, Jinggong Valves are well reputed by customers domestically and abroad. 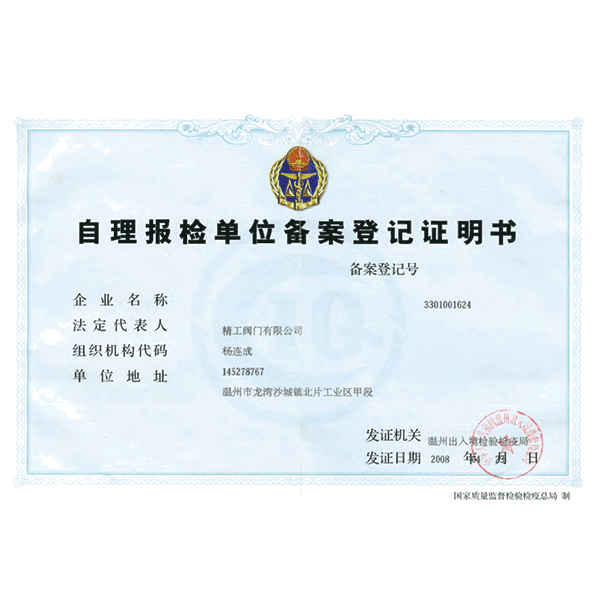 They are selected and used to the projects of SINOPEC, CNPC, HUADIAN GROUP, and also used to the fields of Urban Construction, Chemical, Water Supply and Drainage, and also they have sold to Europe, South and Northern American, Middle East, Africa and Asian markets. 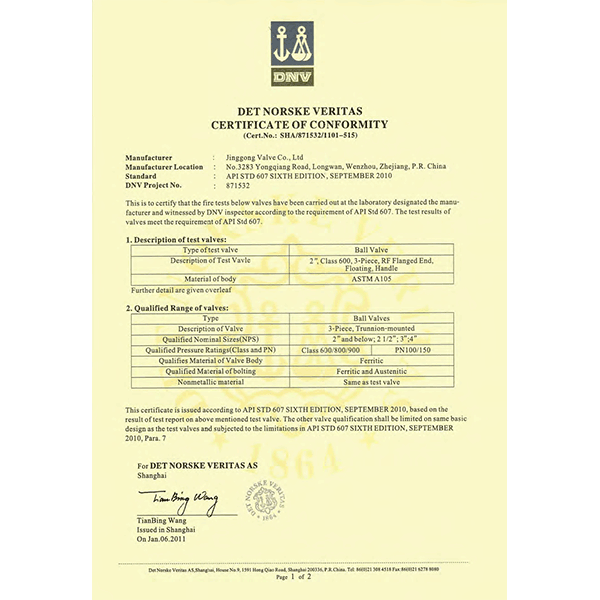 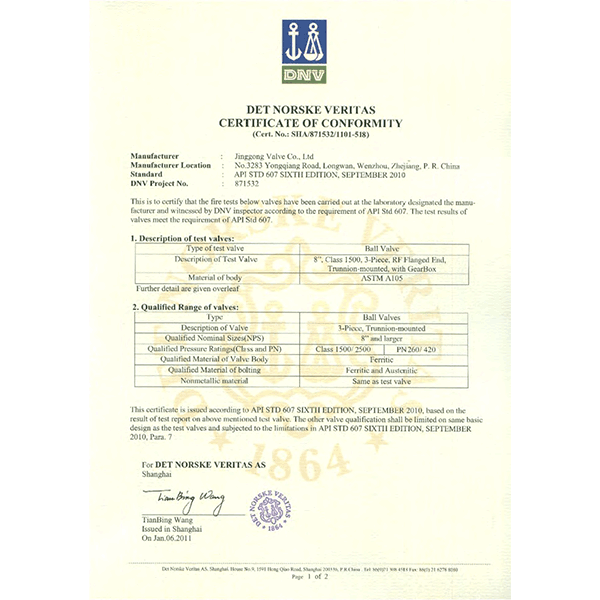 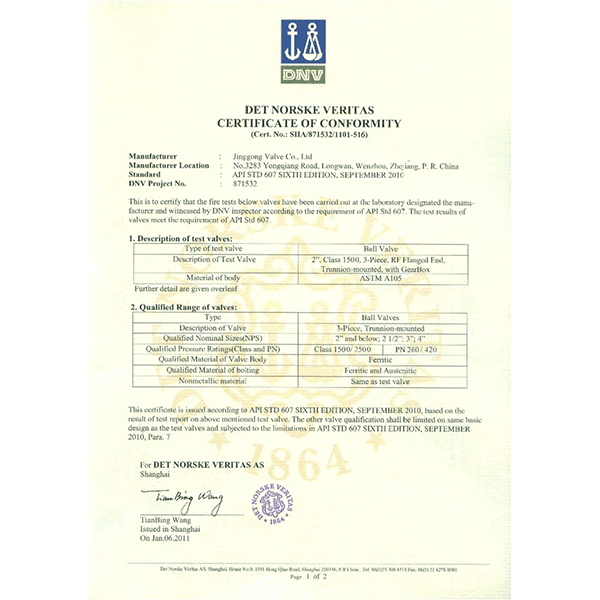 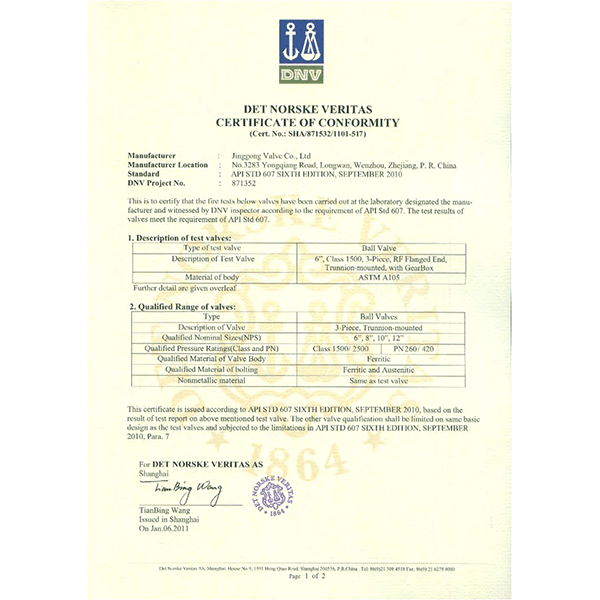 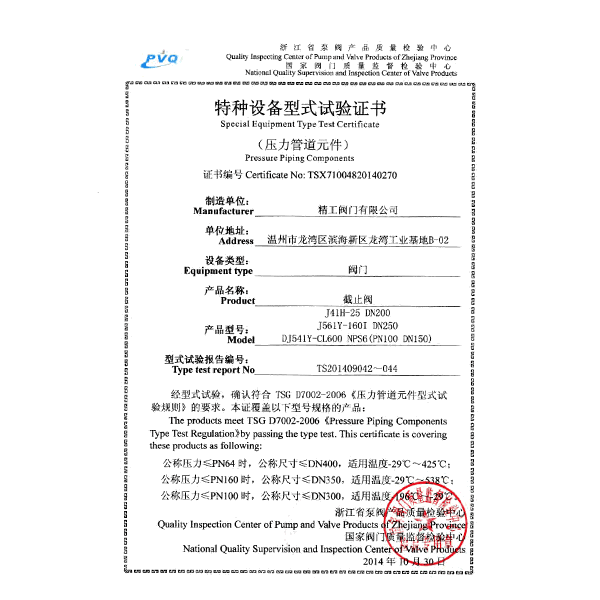 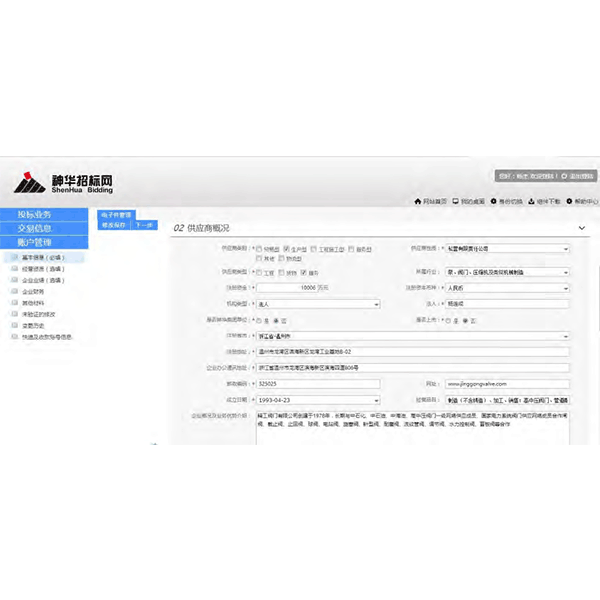 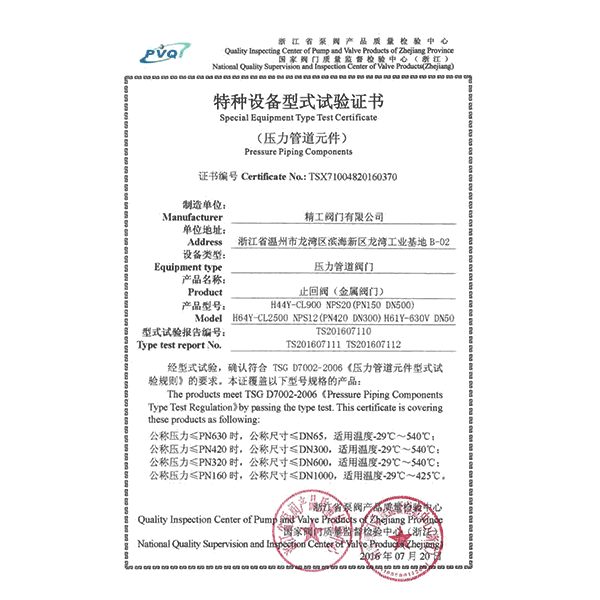 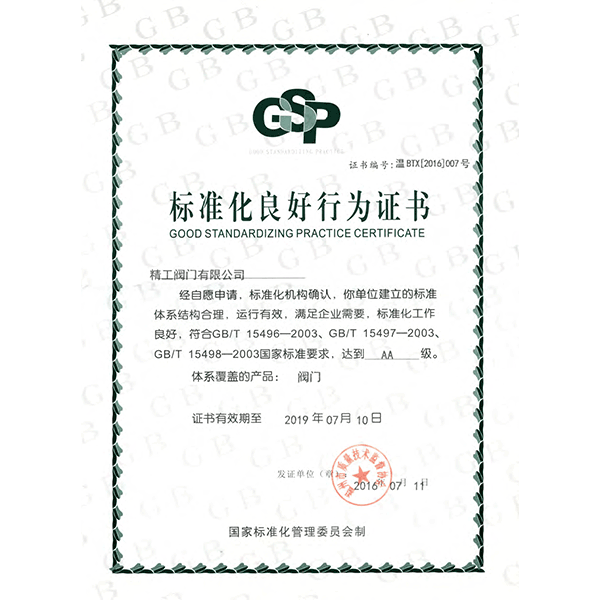 Jinggong has passed through ISO 9001, ISO14001, GB/T 28001 and other quality system certification, and has been accredited API6D, API 600, API 602, API 609, API 607, API 6FA, CE, SIL certificates, obtained China pressure piping component manufacturing license (TS). 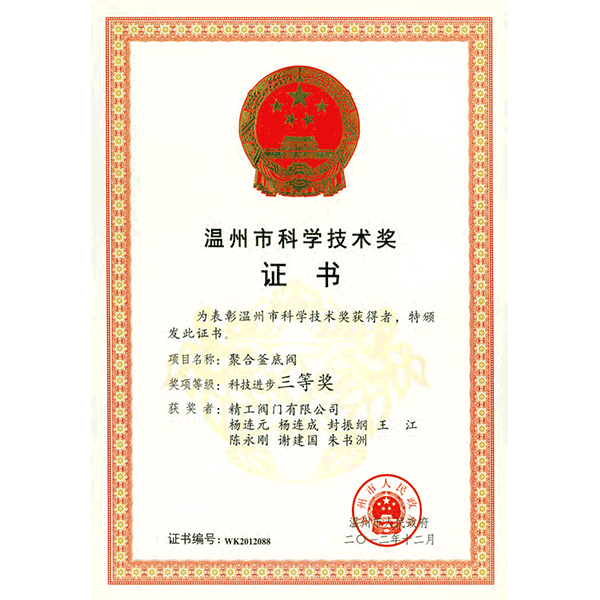 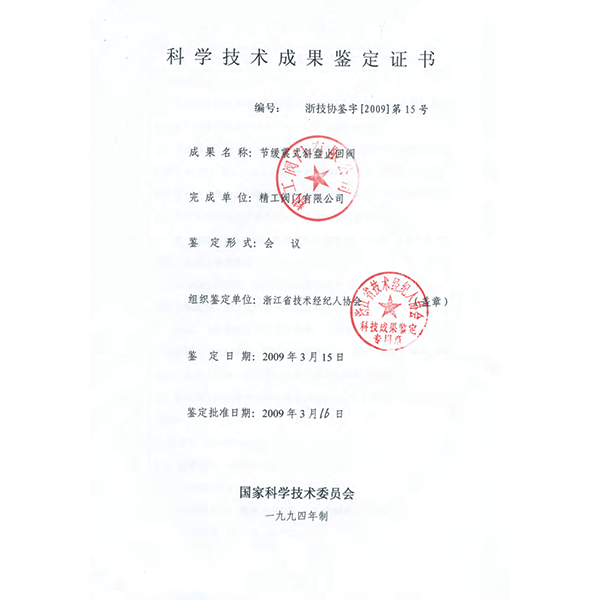 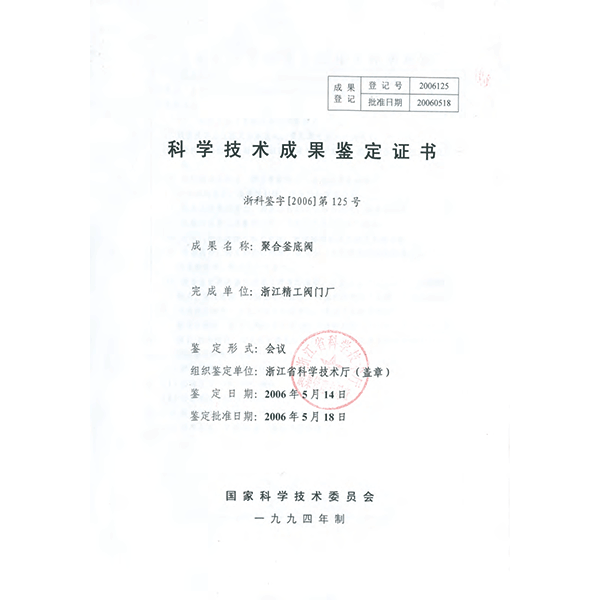 Jinggong has been named honorary titles of "National High-Tech Enterprises", “Zhejiang Hi-tech Research and Development Center", “Famous Trademark of Zhejiang Province”, “Famous Trademark of Wenzhou City”, "Provincial AAA level trustworthy enterprises”, “Industrial Leading Enterprises of Zhejiang Province”, “Key & Advanced Enterprises of Longwan District”, and “Meritorious Enterprise of China Valve City” etc. 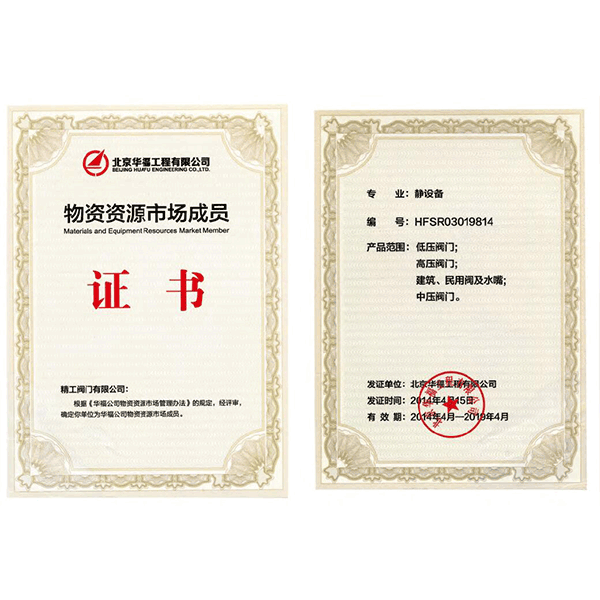 Our valves are used to many big projects of: Daqing Oilfields, Shengli Oilfields, Yanchang Oilfields, Zhongyuan Oilfield, Yumen Oilfield, Yanshan Petrified, Jinlin Petrified, etc. 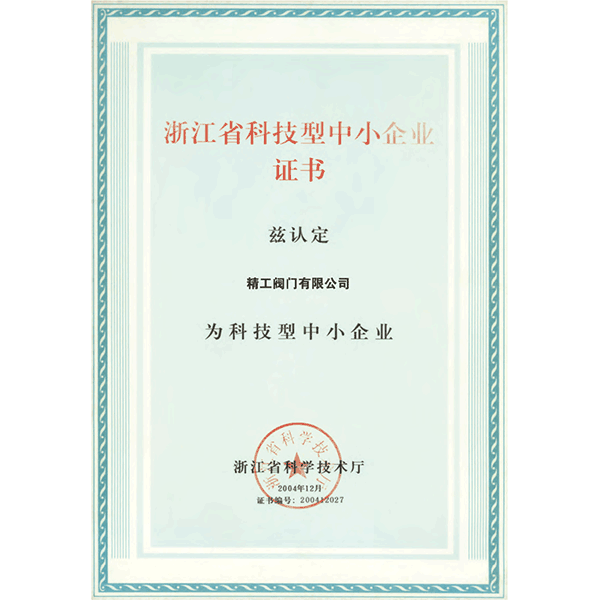 of CNPC and SINOPEC, Coal Gas projects of China Shenhua group, ENN Gas Hongkong Co., Ltd., Huafeng Spandex, China Huadian Power Group, Samsung (China) Co, Ltd., Surgutneftegaz, and so on. 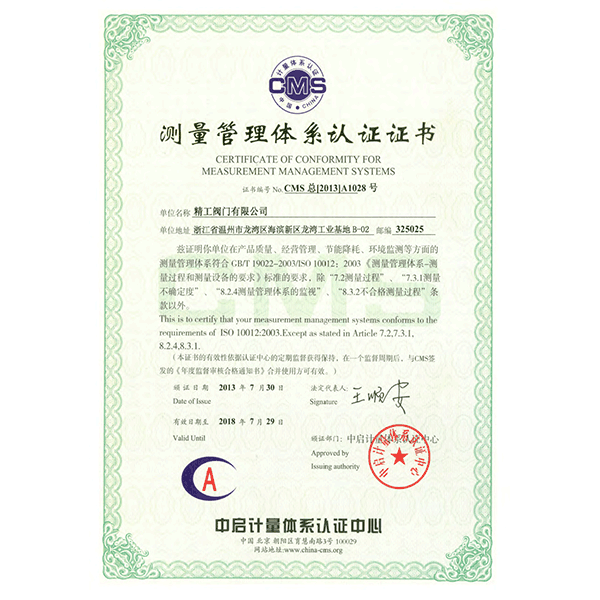 Besides China market, we are striving to work on more and more oil and gas projects in the world. 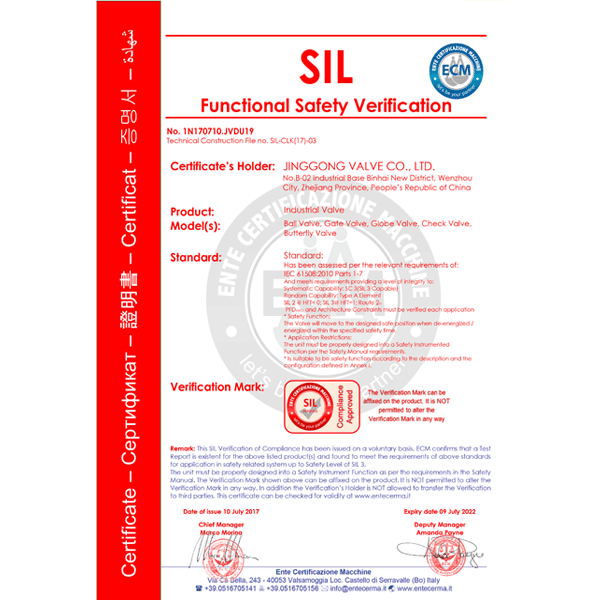 Today, Jinggong Valve Co.,Ltd. 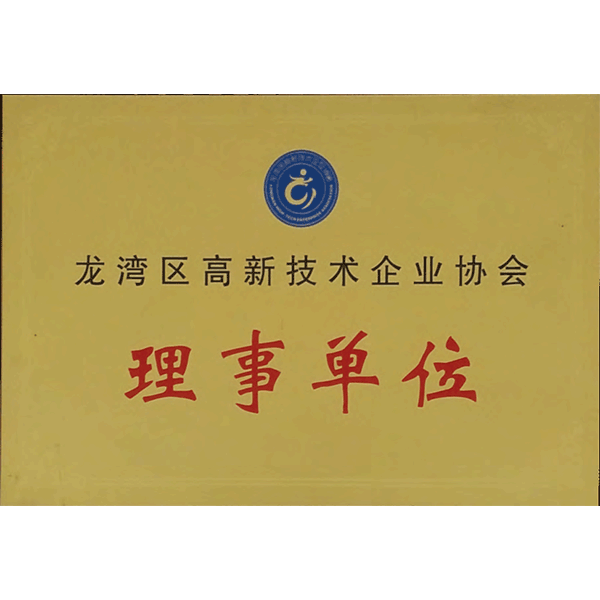 under the leadership of the Jinggong top leaders, continuously pioneering and innovative,striving to create a better and brilliant future. -2002 Jinggong’s valves sold to the national grade top enterprises and key engineering projects and became one of the top qualified suppliers of China National Petroleum Corporation (CNPC), China Petroleum and Chemical Corporation (SINOPEC) and China national power generation systems. 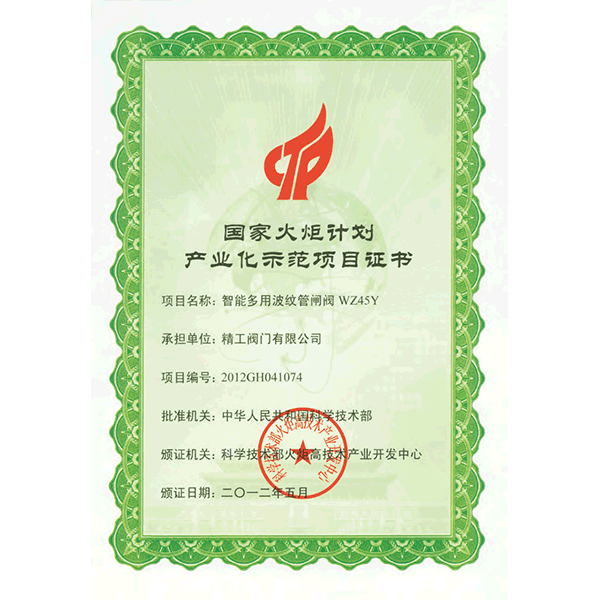 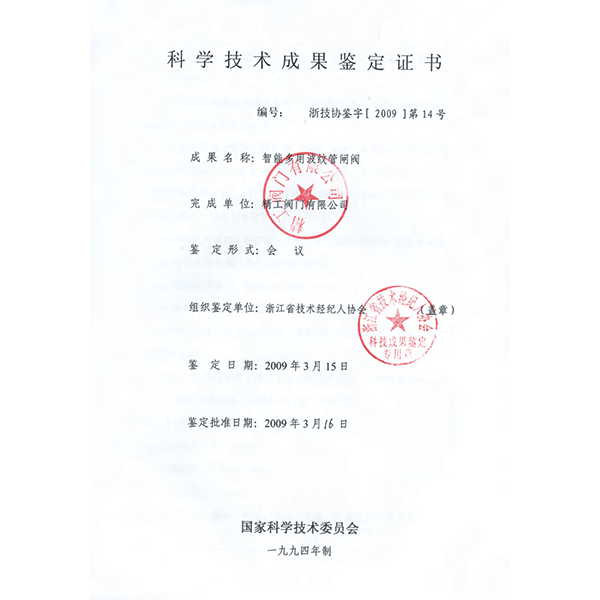 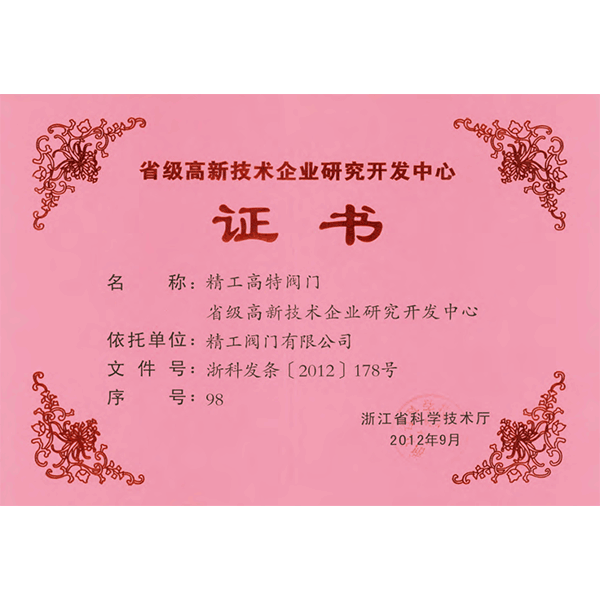 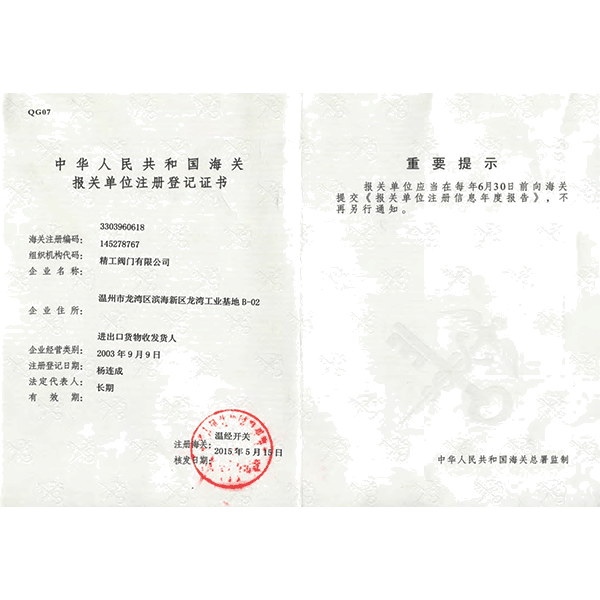 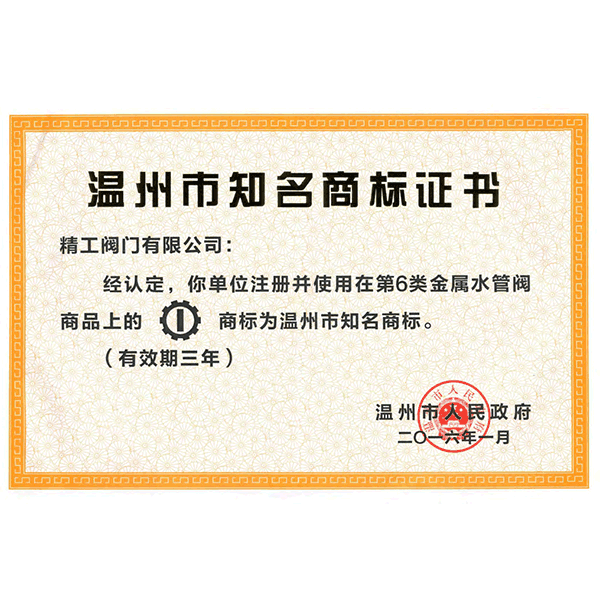 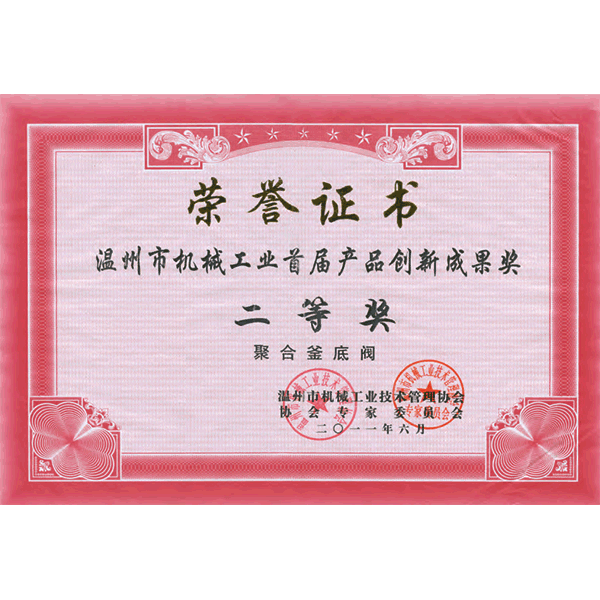 Jinggong has been granted such honors as “quality qualified enterprises of Zhejiang Province in 2011”, “Wenzhou city famous brand products”, “Zhejiang province famous brand products”, and so on. 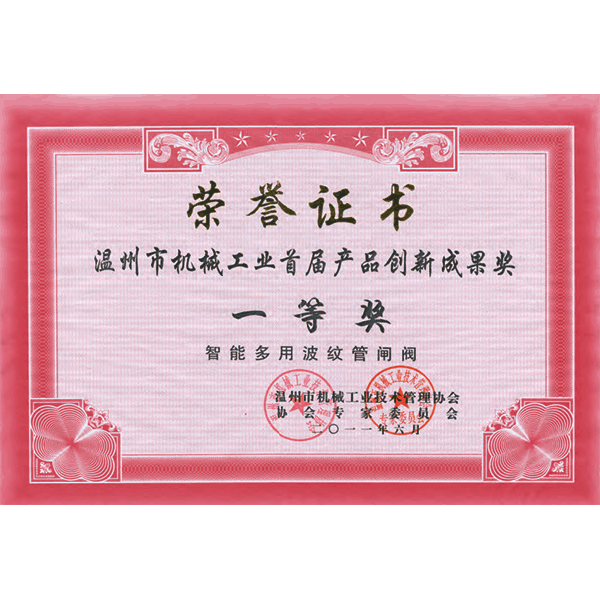 -2003 Jinggong awarded “Longwan District High & New Tech. 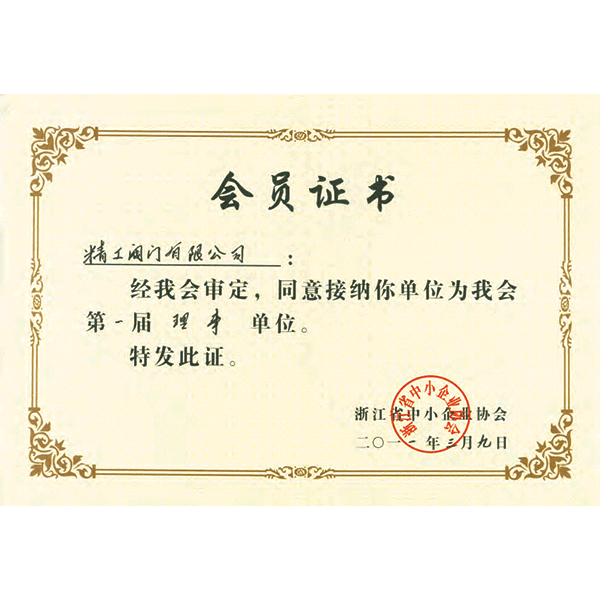 Enterprise”. 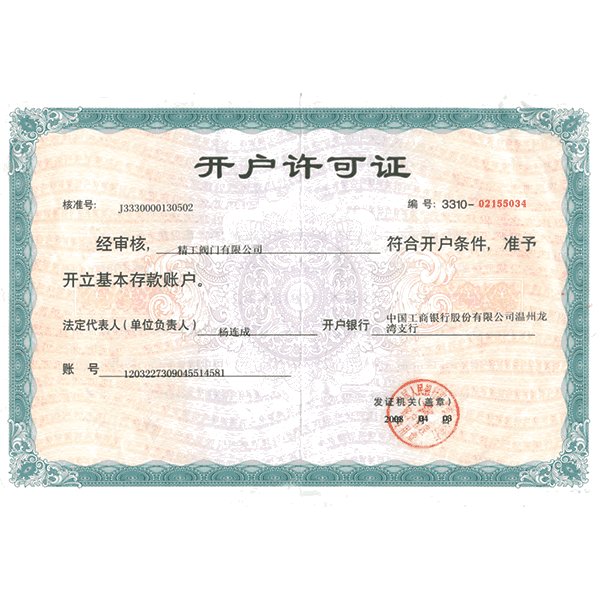 Our development is originated from untiring pursuit and unceasing innovation, reliable business credit and top quality, and making efforts to create a unique Jinggong excellent corporate culture.